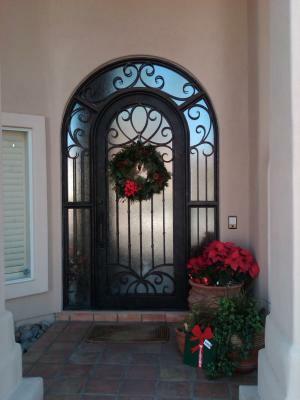 Signature Iron Doors is your one stop shop for all of your iron needs. We provide an array of quality Iron products that are unique, beautiful and long lasting. Our Scroll work is hand forged by fire, not plasma cut, making each piece a unique and individual piece of art. Our team here at Signature Iron Doors is dedicated to our customer service, making sure we provide a great experience for all of our customers and we can cater to any iron needs you may have. We provide custom Iron entry doors, iron garage doors, Iron gates and railing and iron security doors. We invite you to come take a look at our Showroom at 3606 E Southern Avenue, Suite #1 Phoenix, AZ 85040 and contact us at 480-388-3535. how we can transform your house into the home you have always wanted.